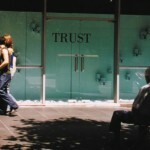 The window display in a shopfront on Melbourne’s busy Bourke Street announced the arrival of a new product. 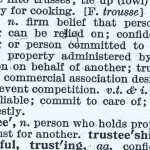 This was TRUST, a quality which was considered to be in short supply in our streets and public places, and disappearing from the social landscape of some of Australia’s larger cities. 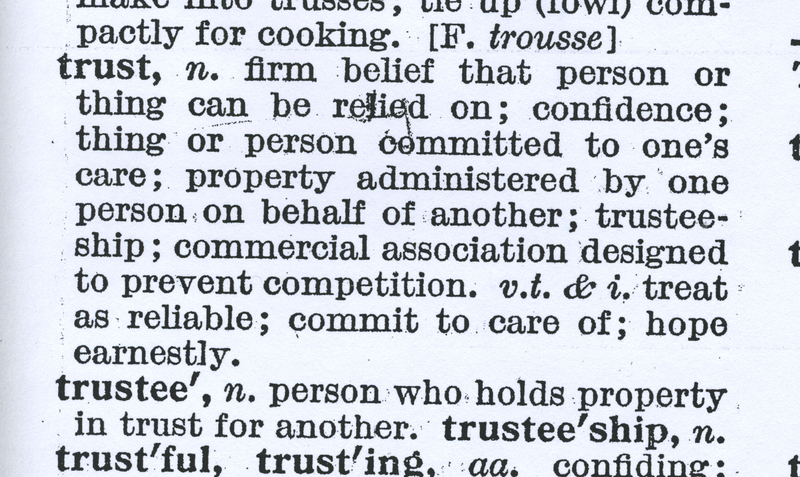 In conceptual development workshops, participants identified trust as the single most important thing they needed in order to have good friendships, belong to a family, hold down a job, or to be satisfied and happy with life. Research was undertaken into how corporations, especially cosmetic companies, try to influence our needs, desires and values, and how they commodify ideals as marketable products. 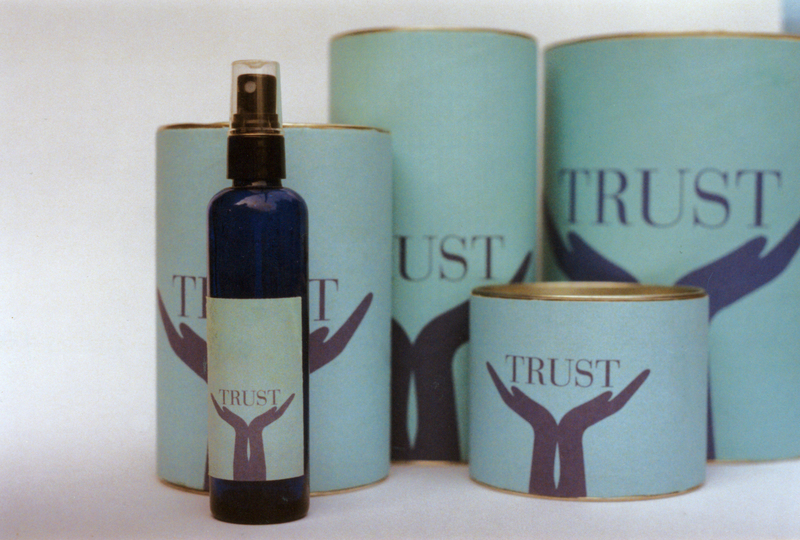 The creative team decided to mimic the making and promoting of products with a range of its own – TRUST – with a new perfume as the lead product. Creative development and production workshops included developing a conceptual framework; designing a logo and spray card; packaging design and production; window design, production and installation; and costume and performance preparation. A shop window was fitted out to display and launch this new product range. On the street outside, the team transformed into brand ambassadors approached the public with perfume atomisers and spray cards. The cards were printed on one side with the logo of two cupped hands offering the word TRUST, and on the reverse with the tagline – ‘because you’re worth it’. 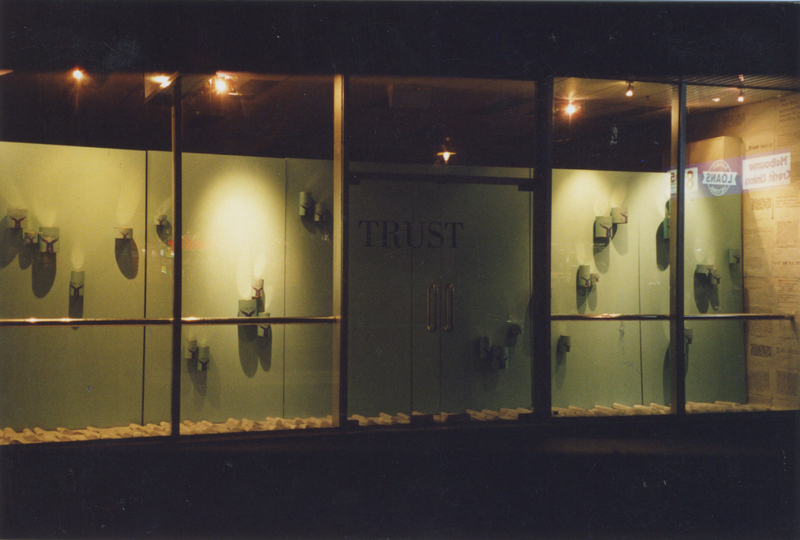 They asked passers-by, ‘Would you like to sample some TRUST?’ The cards were sprayed with water and given out. Not sensing any smell the public exclaimed, ‘But I can’t smell anything.’ The response – ‘That’s because you can’t buy TRUST!’brought delighted smiles to many faces. 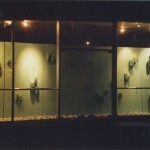 In this work Visionary Images subverted marketing practice and commercial space, claiming the territory for its own and stamping it with social critique. It turned its use to public good rather than meaningless consumerism. 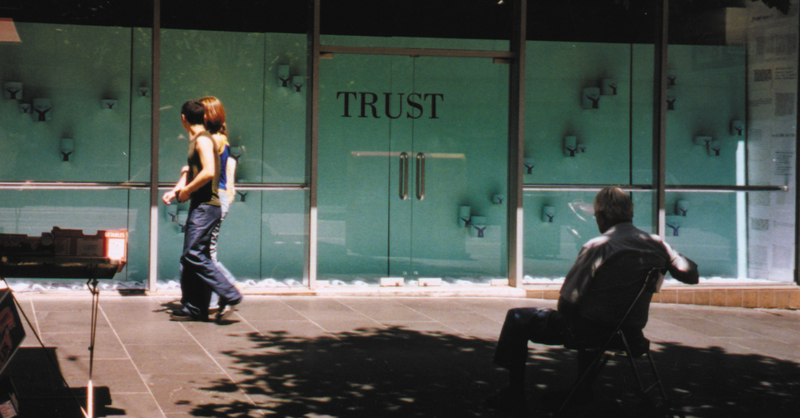 As an ephemeral work of public art, the project placed the viewpoint and values of young people in the public eye, branding the real meaning of TRUST in the minds of the public.